The Turkish American Society has found its home at the Turkish Cultural Center and is dedicated to providing a supportive multicultural environment for our flourishing network of communities. We believe that organizing our community is the key to creating a platform of engagement, and engagement is the first step towards advancement. To that end, TASOM has been consistent in providing services and programs to keep our community active and mobilized. The Turkish Cultural Center has become a home not just for Turkish peoples, but for people of all backgrounds and cultures. TASOM facilitated the development of numerous organizations and networks for the advancement of many different ethnic, religious, and social groups to create a powerful diversity representative of the people of Missouri. Most importantly, we are at the forefront of creating opportunities for cultural development and social progress across a wide stratum of the community. From students to businesses, families to non-profit institutions, TASOM has utilized its resources to establish a web of cooperation that has proved to be a pillar of support for our friends and neighbors. Despite this brief yet proud track record, TASOM is ultimately nothing if not the sum of its members. We are representatives in service of our community, as diverse and committed as our members wish us to be. 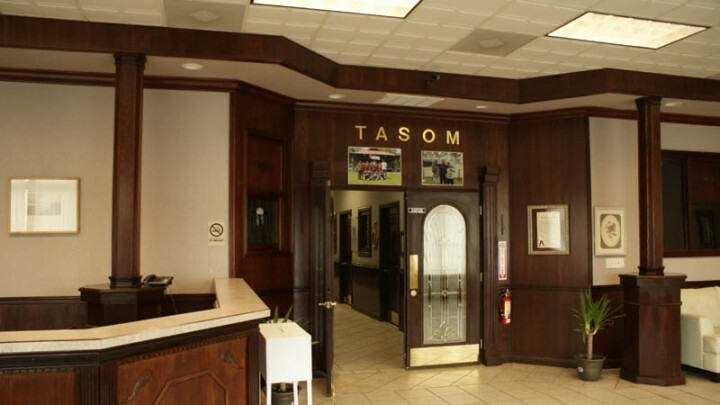 It is because of you that TASOM has been able to accomplish everything that it has and it is through your continued support that we can move forward. TASOM is consistently providing a diverse portfolio of services and programs for the benefit of the community and its members. We believe that the best way to keep the community engaged and organized is to offer new avenues through which we may enjoy cultural experiences and cultivate new talents, thereby creating human bridges between East and West. Our services range from culinary lessons, art classes, linguistic courses, and religious education. We also host a variety of social gatherings for men, women, students, and families throughout the week. Special celebrations and events to showcase our cultural heritage mark our calendars as well, so there is always something happening at TASOM. These programs survive upon the contributions of the community they service, and so your support is just as important to us as your participation. In order to ensure the most effective services from us and the most efficient benefits for you, TASOM would like to introduce you to our Membership Program, a multi-tiered patronage system catered to your preferred level of participation. By becoming a member of TASOM you are deciding on which level of support and participation works best for you. We build stronger connections through membership that allows you to be an active player in the development of our community and the formation of our vision.